More of "The English Poets" series, the end of the marathon effort to record all of Shakespeare’s plays (Pericles), continuing collaborations with the British Council, the label’s first foray into educational recordings (Rhyme and Rhythm) and the release on disc of the first of the BBC’s Radio Ballads (John Axon) after protracted negotiations. 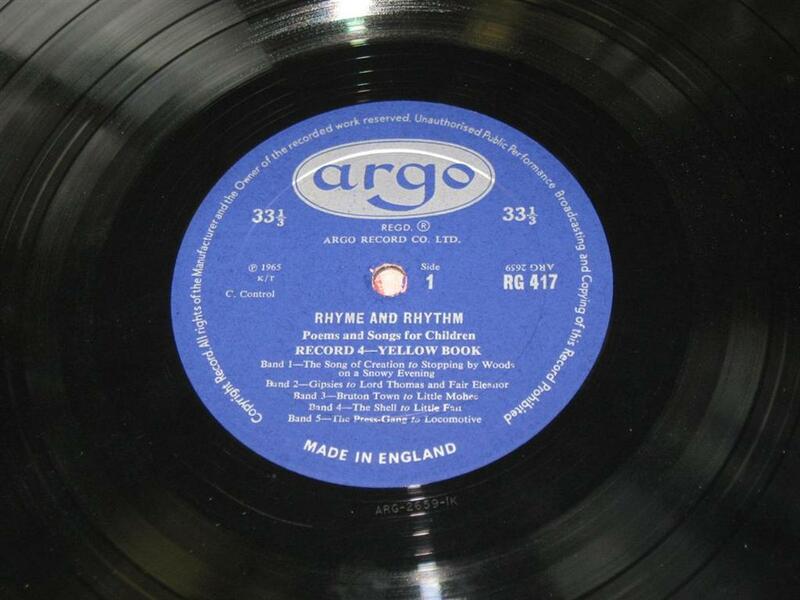 Spoken word in yellow, classical (dominated by choral and song) in grey, and miscellaneous – including several albums of Irish songs – in green. ZRG 5424 Elizabethan Singers dir. Louis Halsey, Wilfrid Parry (piano) Benjamin Britten – Part Songs 1964? ZRG 5447 Simon Preston (organ), rec. in Westminster Abbey Messiaen – La Nativite du Seigneur 1966? Various poets read their own works. Recorded in assoc. with British Council and Harvard University. Various Artists. Dir Barry Cassin and Noel MacMahon, music by Gerard Victory. ~ by folkcatalogue on June 12, 2010.